MIPIM is one of the world’s leading property events which brings together every year some of the most influential names tied to the global property sector: office, residential, retail, hospitality, healthcare, logistics and industrial. According to MIPIM, the 2019 edition gathered 26,800 participants from all sectors of the international property industry with more than 5,400 investors and 560 political leaders from over 100 countries in attendance. In terms of numbers representing the private sector, World’s Top 100 Real Estate Investors represent EUR 1.01 trillion assets under management [60 were present at MIPIM representing EUR 650 billion assets under management] and World’s Top 100 Investment Managers represent EUR 3 trillion assets under management [80 were present at MIPIM 2019 representing EUR 2.6 trillion assets under Management]. One of the most important offerings of MIPIM is the opportunity for the public and the private sectors’ representatives to come together in Cannes and find a common floor where they share their social and business views on representative aspects in the real estate sector. This year’s event was no different, with the public sector being represented at the highest level. The attendance of the public sector was completed by the presence of mayors or Government representatives from major cities such as Moscow, Copenhagen, Luxemburg, Warsaw, Genoa and Almada. Romania was represented by Bucharest District 5 City Hall, whose main aim was to reveal to interested investors one of the Bucharest development initiatives: the “Antiaeriană – Bucharest Centenary Project” intended to be developed on an area of 110 hectares, for which the authorities signed a support agreement with the World Bank. One of the hot topics at MIPIM this year – currently starting to be observed in an incipient stage also in Romania – relates to the demand for flexible workspaces in the commercial office market and how the office market starts to be driven by the needs of the end consumers. The digital revolution is expected also to contribute to this tendency, thus enabling an increasingly connected and arguably more creative working environment while also potentially founding a new culture of cooperation. In this context, the workplace occupancy specialists argued that the office market has and will continue to fundamentally change. One of the drives of these changes results also from the fact that life balance expectations are different these days and that employees seem to prefer alternative experiences rather than a full time desk job in a traditional workspace. In their turn, companies are trying to retain talent by giving their employees more flexibility and the alternative to work from anywhere while offering also an adaptable professional working environment that may be accessed in a manner closer to their needs and desires. One of the latest researches on the market reported that there are over 140 different active co-working operators in the United States alone, proposing 27 million square feet of workspace. The co-working segment has been significantly growing in the US over the last several years and, although it does not represent a major part of the total existing office space in commercial real estate, co-working is reported as a recognized part of the commercial real estate sector. In UK for example, the workforce occupancy specialists pointed out that you can already see shared working environments in the suburbs resulting thus in a reduction of the desk count in central London. 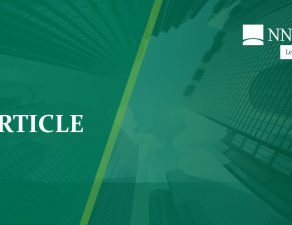 This new trend in the office sector also presents some important challenges for investors and property owners, as their business models were built for years on long-term institutional lease agreements playing an important role in the valuation of their assets and businesses with consequences on the financing options. The co-working phenomenon is having a significant impact on the construction and design of the modern workspace. membership price model ranges from EUR 100/130/150/170/250 (depending on the city) to EUR 400 for a flexible desk, EUR 200, 265, 400, 460 for a fixed desk, but day tickets are available ranging from EUR 10 to 25 per day in Berlin, starting from EUR 25 in Munich, EUR 15 to 30 in Dusseldorf. In essence, the co-working environment is changing the office sector and how the corporate occupiers view their lease flexibility and risks. It will be interesting to see the impact of this sector on other asset classes including how the property owners, banks and the real estate agencies will face such change concerning their business models and service offering. One thing is for sure, even if the immediate effect of new and disruptive business concepts is currently not that visible, the ripple effect of the changes will influence the real estate landscape and the service offerings over time. NNDKP is the exclusive contributor to the Romanian chapter of the European Employment Law Update 2019. 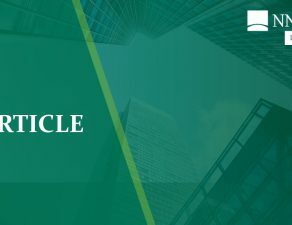 The guide coordinated by Shepherd and Wedderburn LLP compiles updates from 32 leading law firms across the continent and examines the most important legislative changes over the past 12 months and those that are likely to affect businesses in 2019. Interview with Ana-Maria Baciu in the EGR Compliance news. 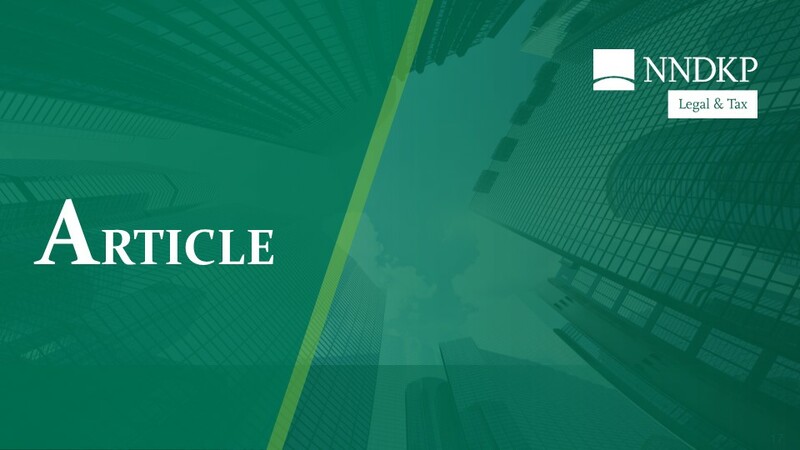 The below material was first published on the EGR Compliance news website on 4 January 2019.